‘Tis the season for mixed emotions! The exhilaration of school ending … the fear of a non-scheduled summer vacation … and the bittersweetness of graduation. I am so thankful for all the teachers out there who invest their time and hearts into making a difference in the world – one child at a time. I am especially thankful for C’s kindergarten teacher (who had been E’s, too) who helped me see a different side of my munchkin. During the graduation, Mrs. C handed out a certificate to each student with a character trait that she thought represented them the best. I had been looking forward to this part of the ceremony and hearing C’s personalized trait. Would it be helpfulness or kindness? Or maybe joyfulness? Haha. In all honesty, the trait of gentleness had never crossed my mind. The C I know and love is spunky with a capital S. She sets her mind to do something and doesn’t let anything stop her. She is expressive and loud like a firecracker. Mild and meek, she is not. Mrs. C also shared the following poem with all the parents: “All I Really Need to Know I Learned in Kindergarten” by Robert Fulghum. It’s a sweet reminder of what’s important in life. Check out this new song by Jessie J., “Flashlight”, that has a graduation feel to it. Hope you have a wonderful time celebrating the graduates in your lives! What life skill from the kindergarten poem do you want to incorporate into your life? 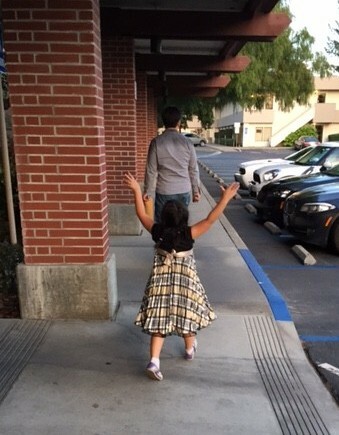 This entry was posted in Mamahood and tagged graduation, jessie j., kids, kindergarten, Robert Fulghum. Here’s the question of the day: Who is your favorite superhero? Wonder Woman? The Flash? Black Widow? Batman? Who would you pick? I have a theory about how people answer this question. I think you’re most likely to choose the superhero that you identify with. So if you asked my hubby who his favorite one is, he’d automatically say Iron Man. Me? I’d go with Captain America. Watching the recent Avengers movie confirmed this. 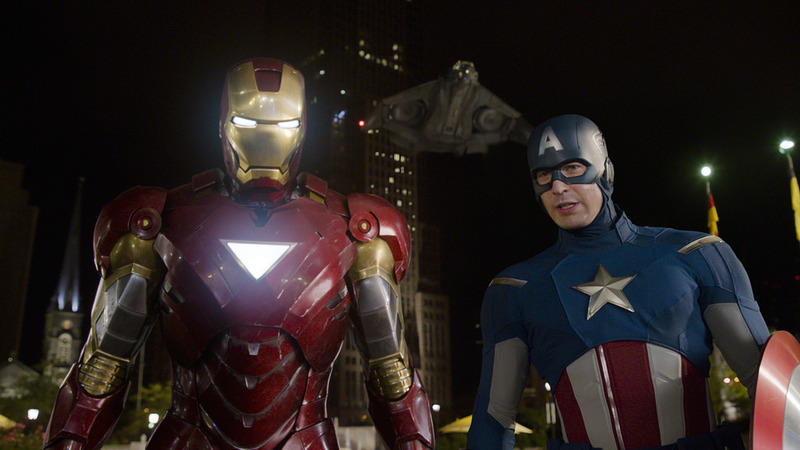 Every time Captain America reminded someone to watch their language, I smiled (and cheered). And every time Iron Man made fun of him for doing that, I rolled my eyes. It was like watching the dynamics of our marriage played out on the big screen, except with a lot more explosions and fancy special effects. If you know anything about the characters from the comics or movies, you’ll know that these two superheroes are fairly different. Okay, they’re more like night and day, complete opposites. We’re talking about Mr. No-Holds-Barred vs. Ms. Goody-2-Shoes. And while you might think one guy is the tougher/smarter/cooler/nobler one, the truth is that they’re both superheroes in their own right. That’s the marriage lesson I came away with after watching Avengers: Age of Ultron. All the superheroes have their own unique personalities and backstories (which the movie did a good job of going into this time). They all have their own strengths and weaknesses. By themselves, they would never be able to defeat the bad guy. But together, they were able to save the world from destruction – and provide a lot of entertaining moments along the way. 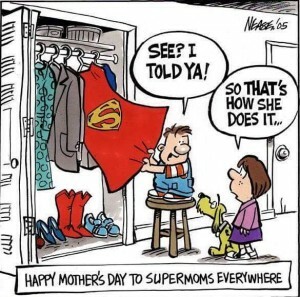 Just like me and hubby … except without the high tech gadgets and evil robot. Hehehe! A funny left over from a few weeks ago. This entry was posted in Marriage and tagged avengers, Captain America, Iron Man, marriage, Peter Frampton. Have you ever witnessed a backed-up toilet explode? Let me tell you, it’s not a pretty sight (or smell!). During my last two years of college, I had the pleasure of living with three girlfriends. We shared a lot of things in that two bedroom apartment – meals, laughter, tears and, of course, a bathroom. And it was in that tiny bathroom that I got the shock of my life one spring afternoon when I pushed down the lever to flush. Before I could blink, the water in the bowl had risen to the rim and began rushing over the edge like a mini Niagara Falls. I jumped back as far as I could as the contents of the toilet seeped onto the linoleum and threatened to touch my bare feet. Half holding my breath and half praying, I considered my options: A) Run and hide! or B) Unclog the toilet. No matter how much I wanted to go with the first option, I knew I’d have to deal with the mess sooner or later. The only problem was that none of us girls had thought to buy a toilet plunger. I think the same can be said of the pen. You’ve probably heard the quote “The pen is mightier than the sword”. Have you ever thought about why that’s true? As someone who writes every day, I can testify to how amazing words are. They have the influence to make or break a person, the force to change a situation and the power to evoke laughter or tears. Most importantly, I believe words have the power to heal. How do words heal? By taking the unspoken and unsettled things in our hearts and bringing them to the forefront. By pinpointing the reasons behind our emotions – our joy and sadness and fear – and making us reflect on them. Taking the time to put our thoughts and feelings into words forces us to stop … to feel … and to be. We spend so much of our days doing and fighting and stuffing and, basically, hiding away the experiences we go through. This is especially true of the negative situations we face. It’s so much safer to push the bad memories and emotions down and not deal with them. But the truth is that sooner or later, all the gunk and refuse and waste we hide away gets backed-up in the recesses of our hearts. And it cuts off the life that should be flowing through it. And as we learned from my bathroom story, a clogged toilet – or heart – is not a pretty sight. I recently read some old essays that I wrote a few years ago. These pieces were penned when I first began my writing journey and was still processing through a lot of “life stuff” from the past. As expected, the words I jotted down were a little on the emo side and even a little dark. Reading those essays probably should have brought me down, but they didn’t. I felt nothing but relief and freedom. It was through the power of the pen (or in my case, the computer keyboard) that I was able to dig through the stuff that I had hidden away. When I formed those experiences and emotions into words, I began the process of unclogging my heart. Writing is seriously one of the best (and cheapest) forms of therapy. You can do it anytime and anywhere, as long as you have a pen and a piece of paper. So, take some time to listen to your heart and write down what it’s telling you. Also, take a listen to Rachel Platten’s song, “Fight Song”. I hope it will inspire you to fight for your freedom from the stuff that’s clogging up your heart. What experiences or emotions are clogging your heart? Write about them today. This entry was posted in Musings and tagged change, counseling, Rachel Platten, writing. In the mirror I saw her head tilt up as she looked at me, the top of her three foot frame nearly reaching my shoulders thanks to the stool she stood on. Her big brown eyes sparkled with intensity, waiting for an answer. Hm? What was she getting at? And why do I always get asked the strange/deep/unanswerable questions? Although her 6 year old logic had some flaws, she was right about one thing. Life is all about relationships. No matter who we are, where we come from or where we’re going, we are all connected to other people. Our parents, siblings, cousins, aunts and uncles, grandparents, children, neighbors, classmates, coworkers, friends, enemies, strangers … the list goes on and on, especially if you include social networking. As complicated and messy and tiring as relationships can be, we would not be who we are without them. And I firmly believe the people we have in our lives are there for a reason. What’s that reason? It’s the four letter word that seems to weave itself through all of our relationships: LOVE. And maybe that was a cop-out answer or the most brilliant answer I could have given, but it is what I know to be true. I am thankful for all the people that God has brought to cross my path. I may not always act like it (especially when I just want some peace and quiet! ), but my world is so much richer because of all the relationships – close and far, in person and online – that I have had the privilege of meeting and doing life with. 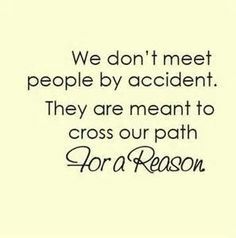 Who are the people in your life that you are sure crossed your path for a reason? This entry was posted in Mamahood, Musings and tagged change, growth, kids, Larissa Lam, Only Won, relationships. Penny pinchers and tofu and arranged marriages – OH MY! Welcome to Melanie Koo’s world, as revealed in my second novella True To You. If you read my first book Straight To You, you’ll remember Melanie as Ashlynn’s sister-in-law. I loved her character and that of Ben Peters so much that I wanted to tell their story, too. But as most romances go, there are some hurdles Mel and Ben have to overcome first in order to find their “happily-ever-after” (aka. one traditional five foot one Chinese mother). I had such fun writing this book and incorporating parts of my culture into it. As expected, it includes some classic Chinese stereotypes that will make you say aiya!, as well as some sibling rivalry scenarios that will make you laugh and want to go call your sister or brother. The book is now available in both paperback and Kindle formats on Amazon.com. If you have Amazon Prime, you can borrow it for free. For a sneak peek of the first chapter, check out my True To You page on this blog (click here). So treat yourself and grab a copy to read this weekend! And I’d appreciate you leaving a review on Amazon when you’re done to help spread the word. Thanks!! P.S. Both Straight To You and True To You are part of the Taking Chances Series, but each book can be read as a standalone. In case you haven’t read Straight To You, you’ll have a chance to get the Kindle version on Amazon.com for FREE (I love that word!) on May 5 – May 6, 2015 in celebration of my and hubby’s 14th anniversary (and also Cinco de Mayo)! 🙂 So remember to grab your free copy on those two days and feel free to let your friends know, too. Click here for the link to Straight To You! 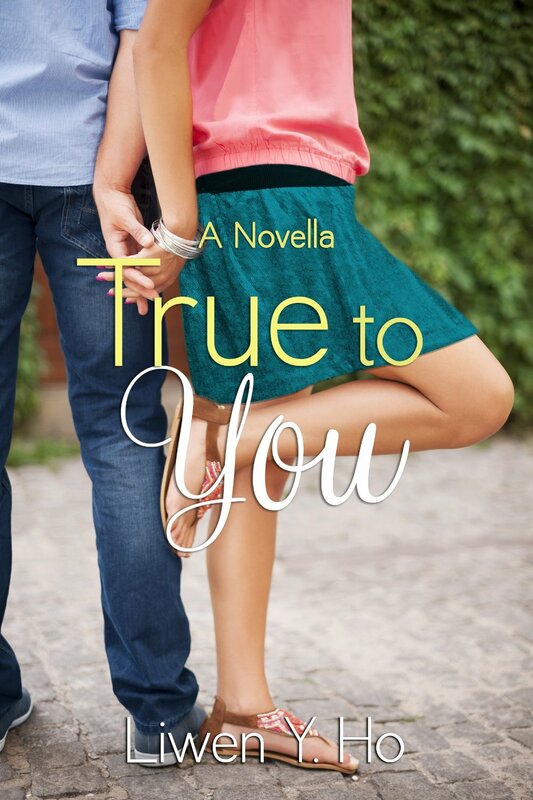 This entry was posted in Makings and tagged cover reveal, novella, Straight To You, True To You.